Gone are the days when using passive ways to woo customers used to be the norm. In today’s dynamic business environment, businesses need to talk to their target audience at every stage of their journey from discovering the company to becoming regular customers. In this digital age where a plethora of options are just a click away, businesses need to engage their target audience and customers at every stage of the customer journey. One way of achieving this objective is by exposing the target audience to informational and compelling content. 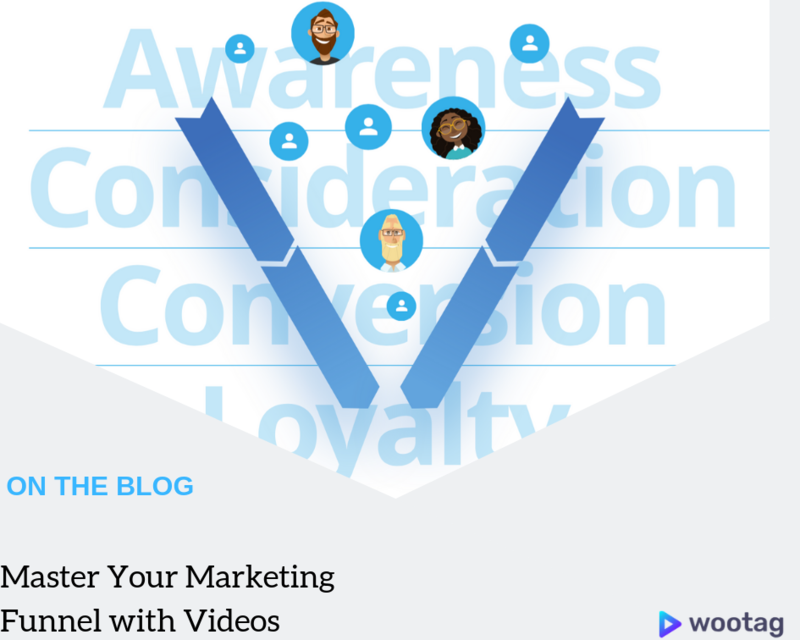 Before we talk about how you can engage your target audience at every stage of their journey, let’s first understand how a marketing funnel works. The marketing funnel is part of an organisation’s efforts to track an individual’s journey from being a prospect to a loyal customer. Hoping to convert every prospect who enters the funnel into a customer would be wishful thinking. Marketing managers understand the fallacy of the idea and focus their efforts on nurturing as many prospects as they can. There is no set template to create a marketing funnel. While many funnels have several stages, some may use fewer steps. Conventional marketing funnel ends once a prospect is converted into a buyer. Modern funnels, on the other hand, go beyond this stage and focus on retaining customers and using them for referrals. In general, modern marketing funnels comprise of six different stages, awareness, acquisition, activation, conversion, retention, and referral. Awareness is the uppermost part of any marketing funnel. People in this stage are your cold traffic that comprises of prospective customers who have just entered the funnel and do not know anything about your offerings or brand. In this stage, your focus should be to talk to these potential customers. To get more prospects to your website, you need to come up with innovative marketing campaigns. To create a buzz around your brand, participate in industry events. Come up with viral campaigns. To convert a substantial percentage of your cold traffic into warm and hot traffic, you need to reach them out effectively. Use non-branded advertisements that direct prospects to your website (from there you can redirect your cold traffic to your blog). Create compelling and informational content that offers value. Use introductory videos, simple infographics, and landing pages with a call to action that includes questions regarding the person’s profession and contact details. Give your prospects reason to follow you on social media. Once leads come to your landing page, start pushing more content that includes information about your products or services through the mail, like mail interactive videos, e-books, and newsletters to your leads. To create value, upload informational content to your business’s social media accounts. The post linked stories to Facebook, YouTube, Snapchat and other video platforms. To establish your expertise and credibility, offer free advice. Instead of trying to influence your customers for a high level of commitment, try to create value through your content. Ensure prospect questions are answered promptly. After providing information to your prospects, you need to come up with a strategy to increase their engagement with your brand through emails, your social media pages, website, or even live videos. Optimise your landing page. Dare to experiment with ideas such as changing the colour of your call-to-action button and tweaking the position of the sign-up form. Use content that encourages sign-ups. To spike interest, offer your leads a chance to participate in webinars and freebies. Upload interactive videos (can be a demo video) that are primarily designed to help your leads experience the product to your website and social media profiles. The conversion stage is all about convincing your leads to choose you over the competition. In the conversion stage, sales and marketing teams work together closely. To score points with your prospects, create persuasive content including massive product demos and case studies. To assure prospects that they are making the right decision by choosing you, upload testimonials to your website. Get influencers with a substantial following and proven industry expertise of creating compelling content on board. Send direct messages. Place ads at the top of your lead’s Messenger. To provide a final push, upload demo videos and tutorials. In these videos, make sure to highlight the USP of the offering. To convince your prospects that they need you, create strategic questionnaires and self-assessment forms. The modern customer expects to be delighted. Consider engaging your customers with an ongoing exercise. Your focus in this stage should be to improve your customer experience as much as you can. To achieve this objective, upload how-to videos. Publish and mail product maintenance guides, written tutorials and tips to your customers. To understand how customers perceive your brand, conduct surveys on your social media accounts at regular intervals — email information about new offers and discounts to your customers. Delighted customers are more likely to refer your services or products to their acquaintances. To turn your loyal customers into passionate brand advocates, provide them incentives such as exclusive discounts to celebrate special events such as their birthdays or anniversaries. Request your loyal customers to post online reviews. Ask customers to fill out questionnaires or participate in satisfaction surveys in return for an exclusive offer. Incentivise every referral. To maintain trust, continue posting informational content to your website and social media pages. The understanding of a customer journey is a relevant and useful framework through which you can analyse business and areas of improvement. It helps you to pick the right strategy for the best results and relate closely to your customers. Visualising clear direction of your business will help you grow, give an edge and advantage against your competitors. Indeed is an indispensable tool to identify, learn and master led generation. 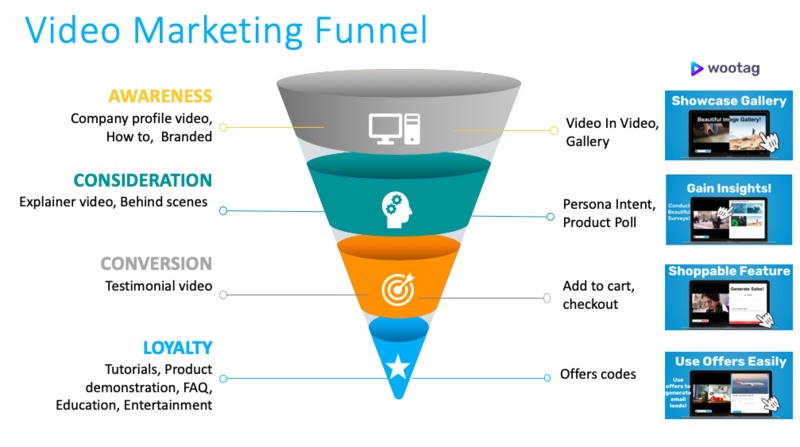 Next week we will showcase how video can be used at the top of your marketing funnel – Awareness stage. Stayed tuned or sign up for our newsletter updates.